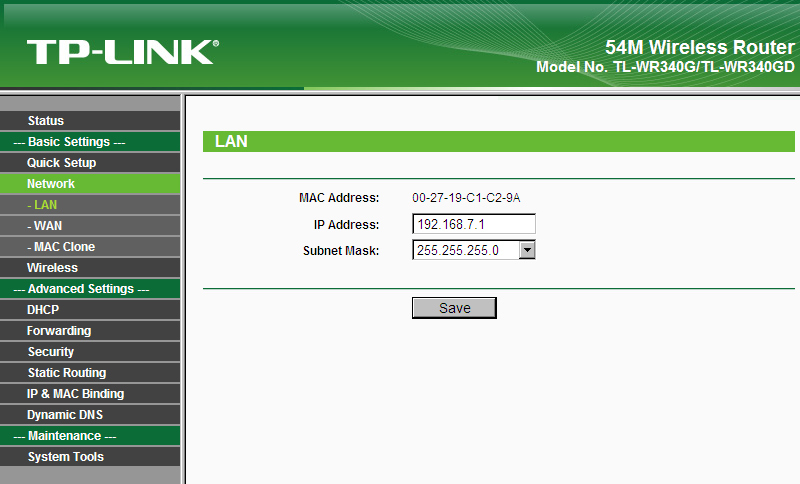 Select a WIFI router that has Russian PPTP or Russian L2TP for the WAN type. In some router models this is simply called PPTP or L2TP. Connect the WAN port of your router to your LAN or one of the LAN ports of your broadband router. This will in most cases mean that you will have 2 routers. The first one is your regular broadband router and the second is the router that serves your VPN network. Go into the admin interface of the router and select a LAN address range that doesn't interfere with your regular LAN address range. Click Save and your router will reboot. 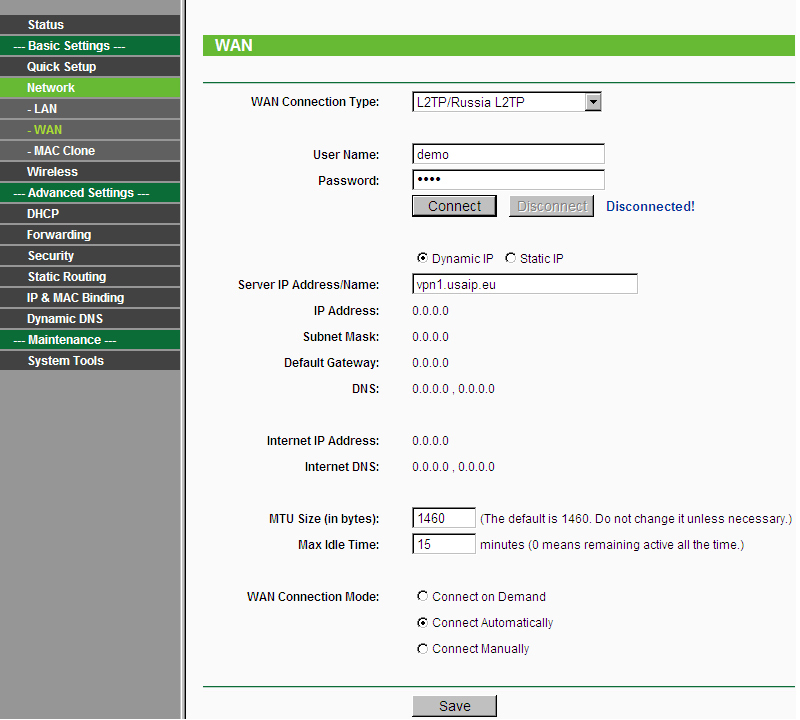 Access your router on the new LAN address and go into the WAN menu. 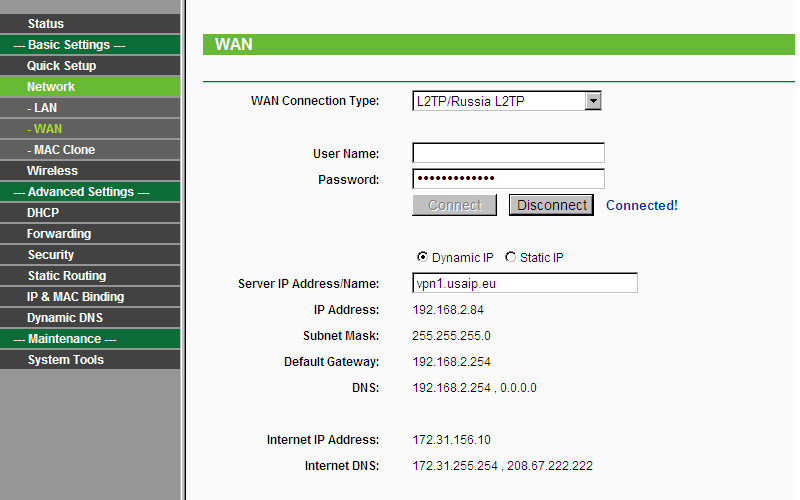 Select L2TP/Russia L2TP or PPTP/Russia PPTP as your WAN connection type. It is better to use L2TP for both speed and compatibility purposes. 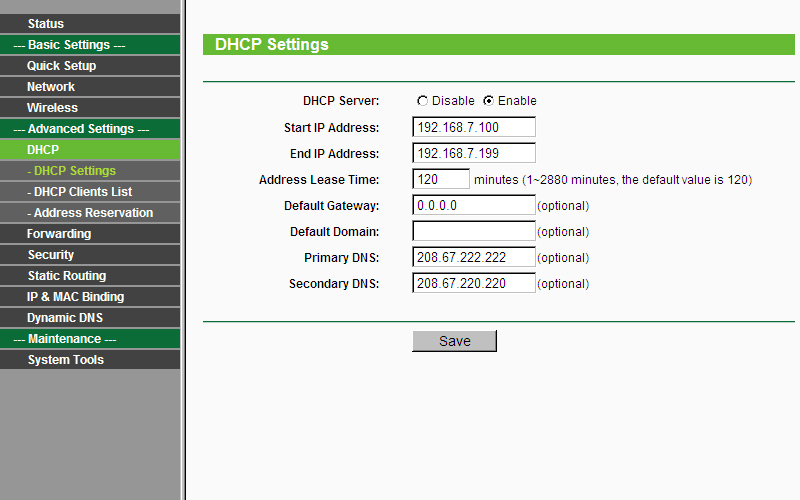 Go into the DHCP settings and make sure that it is enabled. Fill out the primary and secondary DNS values as seen below. Click Save.